The second Sunday of May is fast approaching which means just one thing: Mother’s Day! This year, we have a number of thoughtful gift ideas that will ensure Mom feels amazing on her special day. Ranging from themed donuts to brunch recipes, our plentiful gift options are not only perfect for Moms, but also for Grandmothers, wives, sisters, etc. 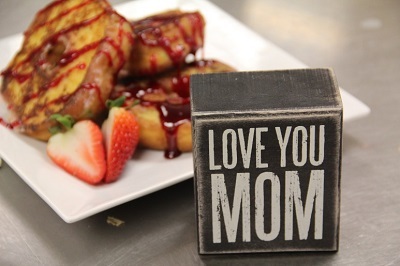 We have you covered this Mother’s Day! For a sweeter take on gifting Mom flowers, Dunkin’ Donuts recently announced a new “Flowers for Mom” Donut! 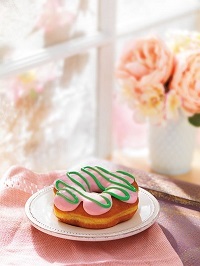 This mouth-watering, flower-shaped, yeast ring donut with strawberry-flavored icing and pastel green icing drizzle, can be great as a standalone breakfast treat or in addition to a classic Mother’s Day brunch. This is also a great way to get the kids involved without the potential for a sticky situation. 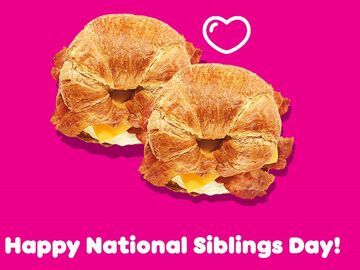 All you have to do is round up the kids, stop by your local Dunkin’ Donuts restaurant and ask for The Flowers for Mom Donut. Having Mom wake up with a half-dozen of “flowers” that everyone can enjoy will start her day off on a sweet note. For many Moms, having a morning cup of coffee is part of a relaxing “wake-up” routine in preparation for the busy day ahead. 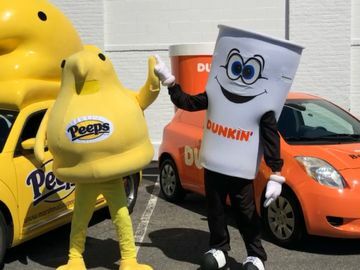 Our This Mom Runs on Dunkin’ tumbler is perfect for these situations since it will help Mom enjoy her fresh brewed coffee either on-the-go or at home (or both!). The tumbler is 16-ounces, incorporates our refreshing colors and is dishwasher-safe, making it perfect for fueling Mom throughout her busy day! Whether you are too far from Mom to visit or know she’ll enjoy treating herself after the holiday, we have a number of cute Mother’s Day virtual DD Cards, available in several fun designs. 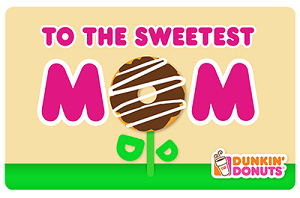 Mobile cards can easily be sent via email, text or Facebook through the mGift feature on the Dunkin’ Donuts mobile app, making it a perfect gift for those who won’t be able to see Mom this Sunday or for Moms who love Dunkin’s new app! Mom will then be able to conveniently redeem her mobile card and/or mGifts directly from her phone during or long after Mother’s Day. It’s the gift that keeps on giving! 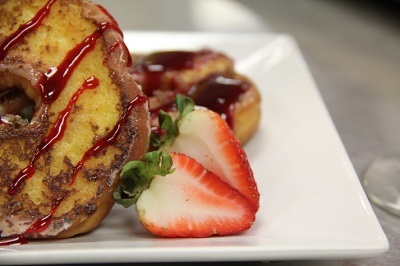 We put our culinary team to the test and they created the perfect brunch dish for mom: Flower Donut French Toast! When in doubt, you can never go wrong with making Mom brunch on Mother’s Day. 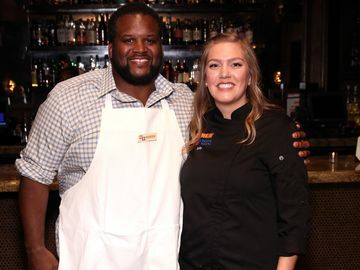 It’s a classic that is sure to put a smile on her face, and taking that extra step by trying a new recipe will show her that you put thought into her gift. This decadent dish not only tastes amazing, but is eye-catching and a show-stopper. Mom will think you spent hours in the kitchen when in fact, you spent less than an hour! Take a look below for yourself. You’re stomachs (and Mom’s) will start growling in no time. Whisk eggs, salt, sugar, milk and cinnamon together. Cut off the top of the donut, just under the icing. Also, cut off the bottom of the donut to create a flat surface and help even absorption of the egg-y goodness. Dip each donut briefly into egg mixture to coat each side. Do not soak donuts for long because they will fall apart! Brown each side of the French toast in a hot pan with butter. Finish the French toast in a 350°F oven for 10-15 minutes, or until the French toasts have puffed up slightly and are firm to the touch. Cook over medium heat in a small sauce pan until thick and syrupy. This should take about an hour. 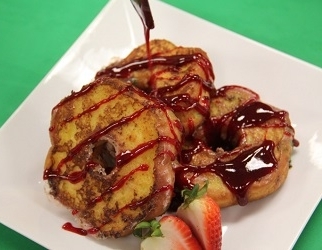 Then, store in a mason jar and use on the Flower Donut French Toast! 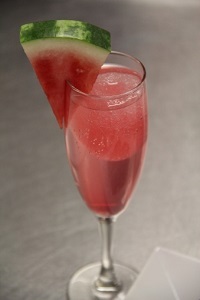 In a champagne flute (or other pretty glassware) pour the Watermelon Coolatta into glass to fill it half way. Top it off with lemon lime soda and garnish it with a watermelon wedge. 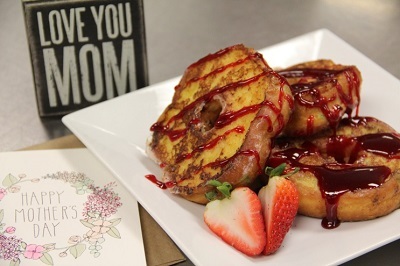 Serve alongside Flower Donut French Toast and your Mother’s Day card! 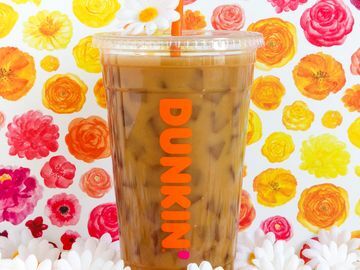 Gifting your Mom something from Dunkin’ this week? Tell us about it on Facebook, Twitter and Instagram! 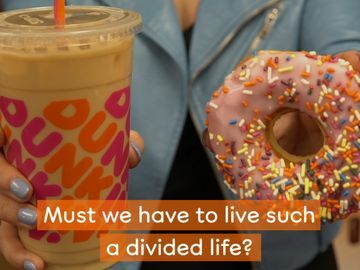 For more ideas and tips on cooking with Dunkin’ Donuts products, check out our recipes here!